is the founder and CEO of a trio of pioneering and award-winning restaurants and a bar in China. Over the past 25 years, Michelle has opened M at the Fringe in Hong Kong (1989) M on the Bund (1999) and the Glamour Bar (2001) in Shanghai and Capital M (2009) in Beijing. Michelle has actively led and managed the restaurants’ cultural events program, the Shanghai International Chamber Music Competition & Festival and Literary Festivals in Shanghai & Beijing, as well as numerous charity and community projects. A judge for the Cartier Women’s Initiative Awards for five years (and Asia Jury President for two), Michelle has also been honored with numerous awards, including the Entrepreneur of the Year at the International Women of Influence Awards. is director and co founder of Anthem Asia Limited which is an independent investment group exploring responsible investment business opportunities . Prior to Anthem she spent 13 years with CLSA Capital Partners where she co-founded CLSA’s pan-Asian private equity platform. Josephine is also an independent non-executive director of Petra Foods Limited, a major consumer chocolate business listed on the Singapore Exchange and an investment committee member of VIG (Vietnam Investment Group of funds) and a Trustee of the Croucher Foundation,. Josephine is a graduate of the University of Kent at Canterbury, UK, a member of the Law Society of England & Wales, and Hong Kong and member of the Hong Kong Institute of Directors. 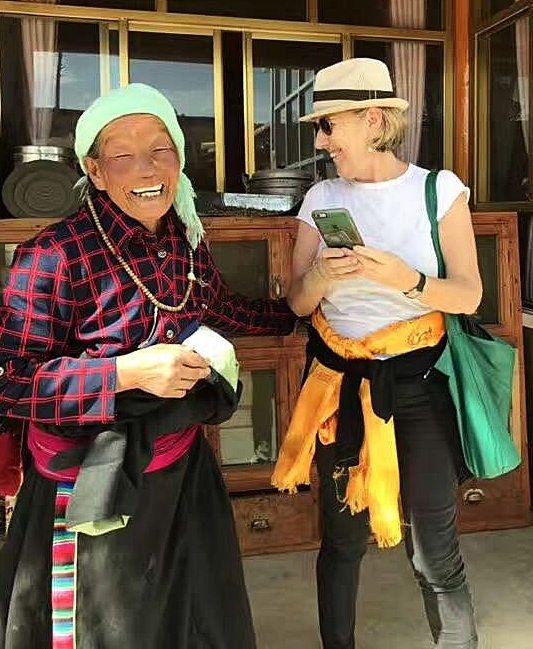 In 2003 Michelle Garnaut, Josephine Price and Paula DeLisle, respectively a successful entrepreneur, private equity banker and management consultant, started to explore the idea of using their combined business skills to assist the budding small NGO’s in China. Their small team grew with the help of locals friends, the village doctors, various experts and consultants, enthusiastic volunteers and the support of their businesses and families. Various others have played a very important role at different times to help get VPP to where it is today. Specials thank are owed to Marieke Reichwein, Matthew Li, Dou Dou, Dr Lin Jin Mei, Li Liang, Professor Ma Qing Yun, Chi Ying Wong, Dominique Harris, Carey Liu and Bing Bing Deng.